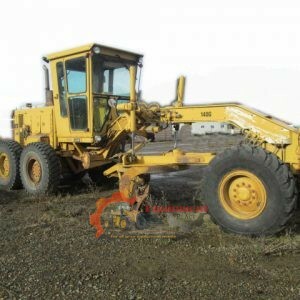 1998 caterpillar 950F Wheel Loader with 14289 hours on the meter. Great running and operating unit. Service records available. 2-1/2 yd bucket, It’s an oldie, but still in good running condition! 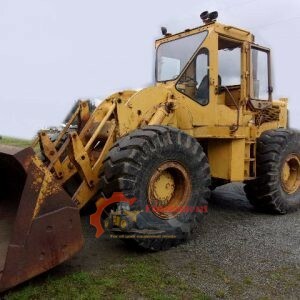 1978 Caterpillar 950 Wheel Loader with 11530 on the hour meter. Unit has a Caterpillar 3304T 130 HP Engine and weighs approximately 22,500 lbs. Unit runs and functions as it should. 1989 Caterpillar E110 Excavator. This is a One Owner Excavator with 7980 Hours. It has been Fleet Owned and Maintained. The Engine is Completely Rebuilt 10 Hours ago! The Two Main Cylinders on the Stick and Bucket have just been Repacked. It comes with a 46″ Dig Bucket, a 5′ TILT Bucket and Large Thumb 22″ wide and 4′ long. Hydraulic plumbing can be diverted by a switch on the Boom. The Undercarriage is a 70% and There is NO Play on the Turn Table! This Excavator is 8′ 4″ Wide, 10′ Height and 25′ Long and weighs around 27 to 28,000 LBS. This is a Lot of Excavator for the Money! 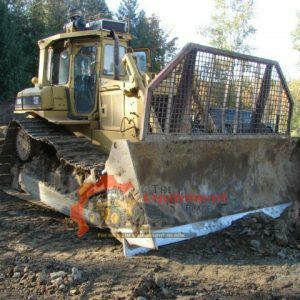 1989 Caterpillar D9N Dozer with 288 on an all new undercarriage. Cat 3408 Engine. This unit runs and operates how it should! 1989 Caterpillar D6H LGP Dozer “Low Ground Pressure.” The hour meter reads 16373. 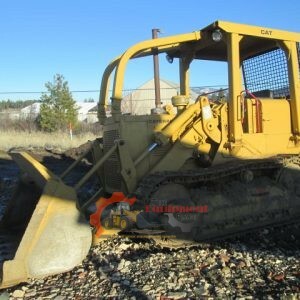 It has a Caterpillar 3306 Diesel Engine rated at 180 HP, 30″ Wide Tracks, and a 5 point Ripper. The undercarriage is at 50%. The width of the unit, not including the blade, is 10′. The Height is 12′, the length is 25′, and the unit weighs approx 45,000 LBS. 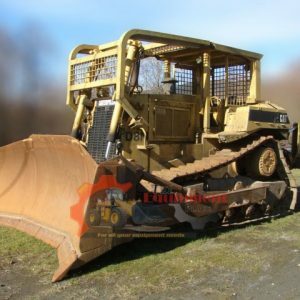 2006 Caterpillar D4G XL Dozer. This is a one owner unit that has been maintained on regular intervals. It has 500 Hrs on a brand new 3046 Engine that is rated at 80 HP. It also comes with a 6-Way Blade and a 3 Post Ripper. The undercarriage is at 70% and the pins and rollers have NOT been turned. The Sprockets have the Bolt on Teeth sections. Strong running machine with no visible leaks. 1990 Caterpillar D8N Dozer. Double Barrel Ripper, 3406C engine rated @ 330hp, U/C in good condition, bottom rollers ready for replacement, rails in good condition. Recent Torque Converter rebuild. 16’4″ wide blade. 9724 hours on machine. 1974 Caterpillar D5 Dozer, 3306 Engine showing 6859 on meter. Tilt Blade, Sweeps/Limb Risers, Under Carriage at 50%, W6F Hyster Winch (60K-7/8″ cable). 2″ Grousers, 10’2″ outside to outside track width. 20″ pads, 12′ length.